Whether your dog is sitting around the house and enjoying a quiet night or bounding through the fields with you on one of your walks, you can make sure they are comfortable in a casual hoodie with the Puppy Pet Clothes. These Puppy Pet Clothes come in a variety of different styles and colors so that you can get the one that best suits your needs. 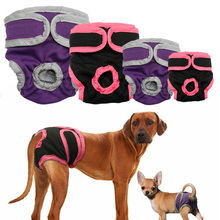 Made from 100 percent cotton, they will keep your pup warm and will also prove to be simple to wash and to maintain. There are buttons to help fasten on the clothing. makes your pet looks cute, lovely and fashionable. Pls follow the figure of your puppy to choose the dimension. computer monitor since they are not calibrated same. Thanks for your understanding.